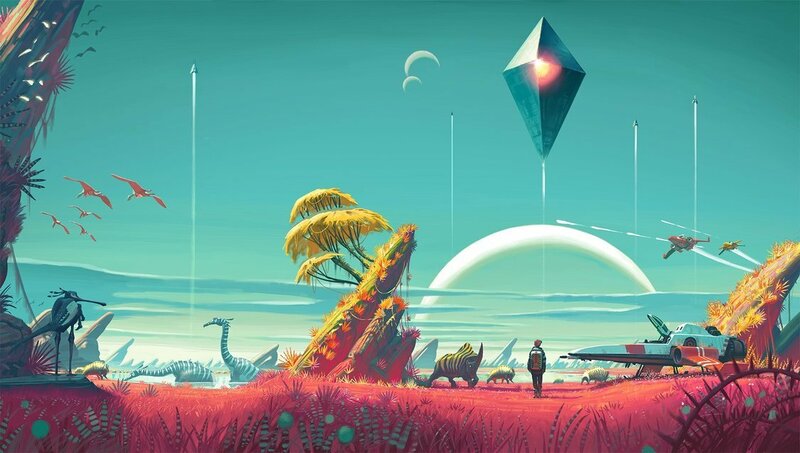 No Man’s Sky is a beautiful & brilliant space exploration game that you can play for hours in a row without even feeling that time passes by… just to encounter a bunch of enraged Sentinels or huge animals that kill you and you’ll have to start over from your previous save point. That’s not really fun, so I am here to tell you how to save your progress in No Man’s Sky in order to keep your inventory safe and your sanity above the line. Plus – it’s pretty easy! 1. Just enter and exit your starship. Each time you exit your ship, the game’s progress is saved automatically. 2. Use the beacons at Outposts that you find scattered on each planet. They are indicated by a question mark and they’re usually positioned in such a way that you’ll always be close to one and ready to save your progress. 3. Also, each time you leave a Space Station, your progress is saved. These are the only methods, so far, to save your progress in No Man’s Sky, but you don’t really need more in most occasions. The option to save your progress is also extremely important and not just for when your character dies (which will happen on rare occasions as you progress and upgrade your suit and gear). However, you could get stuck somewhere or get completely lost in a cave – it has happened to me and it was frustrating. The best option in this case is to simply hit the Escape button and reload your latest save. This does lose you all the items you have collected since saving, but it’s also better than spending endless hours in a maze-like cave trying to find a way out. Don’t forget that if it happens for your character to die, in order to get your items/inventory back, you will have to travel to the place where the bad thing happened and collect the inventory that’s left there. It will be easy to spot, though, as The Atlas will leave a beacon there, making it easy to follow. So this would be how you can save your progress in No Man’s Sky. Pretty easy and extremely useful!